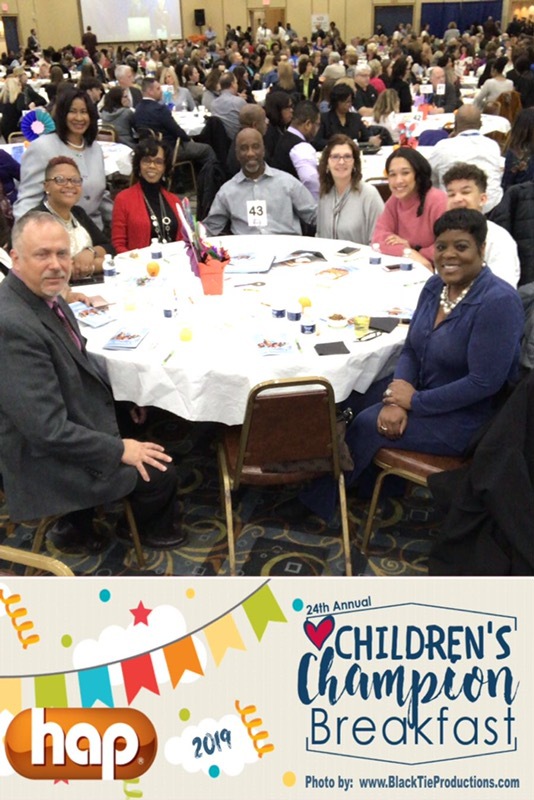 Genesee Health Plan helped to sponsor the annual Voices for Children (formerly Priority Children’s Health) Children’s Champion Breakfast last Friday, 2/8/19. Not only do we support the work that Voices for Children does, but we support the work that each individual person within the community does to help make the lives of the youth and children in Genesee County better. We are so very proud of the work that we do through our partnerships with the Crim Fitness Foundation and United Way of Genesee County including all of the wonderful work of our Community Health Workers within the community and all the work each of our staff members do to serve our members and community. 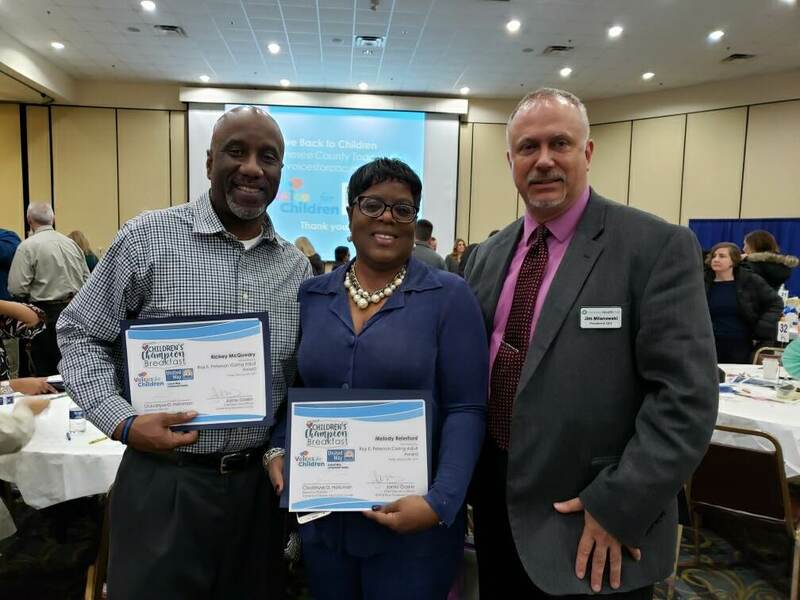 Our very own Community Health Workers at Genesee Health Plan, Melody Relerford and Rickey McQueary were nominated for the Roy E. Peterson Caring Adult Award which recognizes any adult volunteer or employee who goes above the call of duty to help make Genesee County a better community for children. Melody was nominated for securing donations and implementing a laundry program for the children at Freeman Elementary. Rickey was nominated for the work he has done with the Dads & Donuts support group he started at Doyle Ryder Elementary. There were many great Nominees including Melody and Ricky that were all deserving of the award. 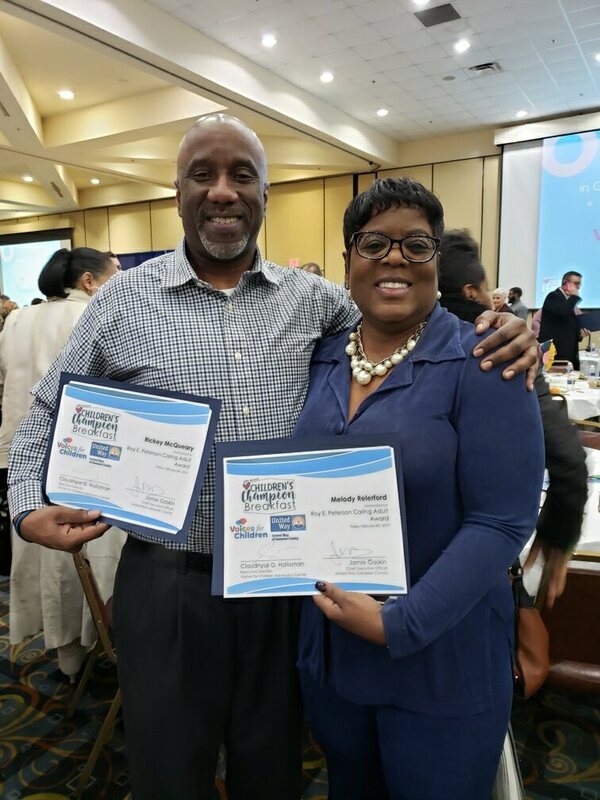 Please join us in congratulating Melody and Rickey for their nomination for this year’s award. For those of you who are not familiar with the Voices for Children Advocacy Center, their mission is to prevent child abuse and help survivors become children again. The Weiss Child Advocacy Center and Priority Children merged to create the Voices for Children Advocacy Center last year. The agency continues to provide high quality child abuse prevention and intervention services. GHP President and CEO-Jim Mianowski, GHP Community Health Worker Coordinator-Sherika Finklea, GHP Community Health Worker-Tanya Jefferson, GHP Director of Operations-Linda Gibson, GHP Community Health Worker and Nominee-Richard “Ricky” McQueary with guests, and GHP Community Health Worker and Nominee-Melody Relerford. 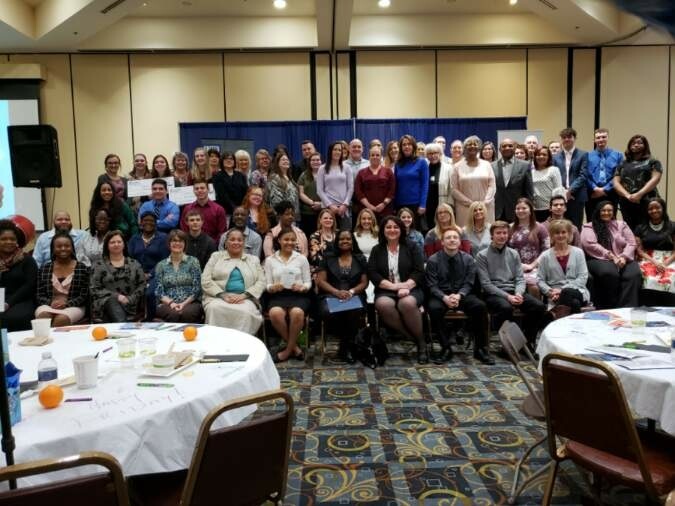 All nominees and winners at the Voices for Children Advocacy Center’s Children’s Champion Breakfast, 2/8/19. GHP Community Health Workers and Nominees, Richard “Ricky” McQueary and Melody Relerford. GHP President and CEO, Jim Milanowski, pictured with GHP Community Health Workers/Nominees, Richard “Ricky” McQueary and Melody Relerford.